Saving the planet one lobster roll at a time. 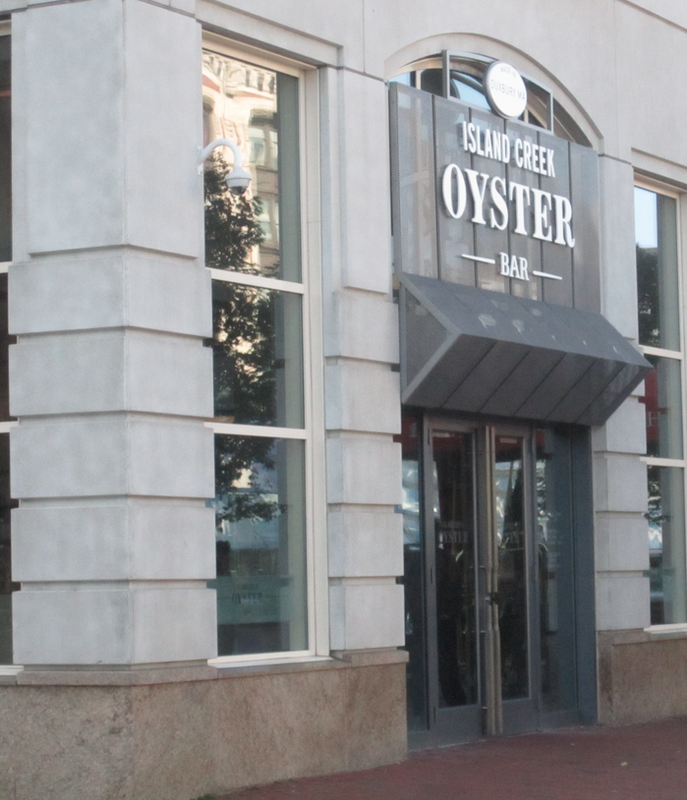 We found Island Creek Oyster Bar in a roundabout way, twice over. First, we’d been to their Kenmore Square location back when it was a restaurant called Great Bay (in fact, it was our secret for Red Sox games – have some apps, valet your car, and they’d have it waiting and running as soon as the game got over. 30-minutes from last pitch to driveway!). 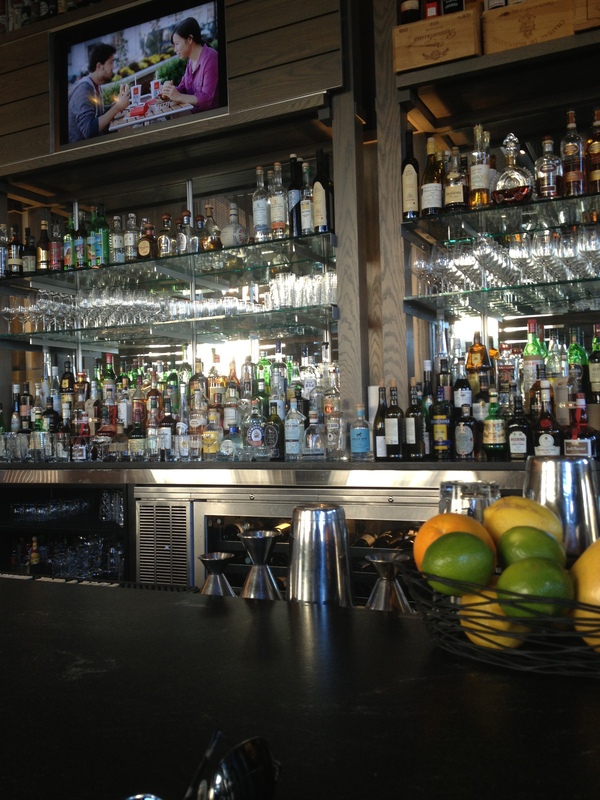 But we’d also seen Island Creek Oysters featured on Andrew Zimmern‘s television show, Bizarre Foods. We realized neither of these points when we chose to make it the third of a three-roll day hoofing it around Boston. All we knew was two things: first, lots of people like ICOB. Second, they reportedly add all sorts of non-traditional nonsense into their roll. But what the heck… we figured we’d give them a try. In some ways, ICOB is about as different from places like Red’s Eats and The Clam Shack as you can get. This is a high-end, glitzy restaurant with a mammoth bar and aforementioned valet guys who’ll happily park your car for you. Yet, the great equalizer is this bug from the deep we like to eat in a hot dog roll. So, despite the ambiance, we’re not sure how much of an advantage a fancy place really has over the little guys. The roll is what it is. We asked about the rolls here, and our bartender Vik (who later turned out to be interested in our blog) said they were great. We told him we’d be splitting our role, which seemed fine with him.We waited the usual 10-15 minutes for our made-to-order order, and were pleased to see they actually took the time to cut our roll in half, and give each of us our own plate complete with our own orders of homemade potato chips and our own servings of coleslaw. NOTE TO FUTURE CHEFS OF AMERICA: this very small, cost-free gesture makes your customers feel like you care about them. It is, at the end of the day, pretty easy to delight your customers if you just think about it. But, we weren’t going to let this feel-good service influence our ratings. This roll was very good. A beautifully buttered brioche roll contained a subtle complex of flavors which, in the hands of a less experienced chef, could have easily gotten out of hand. So let the controversy begin. If anyone had shared these ingredients with us in advance, we’d have been far less likely to drop by ICOB. But, confronted with this roll and nothing left to do but dig in, we were so happy nobody spilled the beans. The lobster meat was sweet, moist, and very fresh. It was dressed in light mayo (which we assume may have been scratch-made), as well as a touch of crème fraîche. This fancy tweak was so nice, and really rounded out the dressing-driven moistness while avoiding more inevitable greasy mayo twang. Tiny cubes of pickle and onion snuck up on us without being “in our face,” while salt, pepper, and a few other things we can’t remember rounded out the roll. 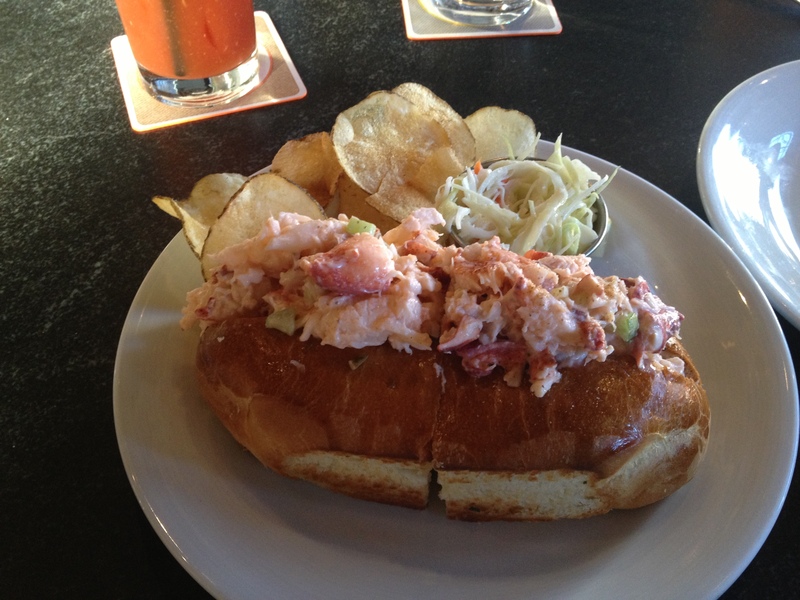 Sorry, but I have to respectfully disagree about ICOB’s Lobster Roll. Had one earlier this year and I thought it was among, if not possibly, the worst lobster rolls I have ever tasted. So overwrought with onion that I couldn’t taste the lobster at all, with tiny little imperceptible pieces of lobster. Onion and pickle have no business on a lobster roll, IMHO….it should be all about the lobster meat, with little distraction from anything else. I usually am in agreement with you on your reviews, but I think you might have been overly courted by the bartender….maybe they made you a special one since they knew you were bloggers. Might be best to remain anonymous if you want to get an objective slice of what a place is serving……. We did not disclose who we were until we were finished, so that wasn’t the issue. And, it was only then that we engaged with the bartender. Prior to that we didn’t speak with him at all, other than to place our order. Good point, though. We always try to remain anonymous until we’re done rating. If you’d have told us we’d rate this role as highly as we did, especially with all the extra ingredients, we’d have said “No way.” In fact, we almost skipped ICOB for this very reason — we feared exactly the kind of roll you describe. But that’s not what we got. On this particular day, we got a really good roll, with only the slightest hint of the exotic. In sum, they got it right. Thanks for reading! Would love to hear your recommendations for new destinations! Thanks for the response! Guess we’ll just have to agree to disagree on this one. Have you ever tried Friendly Fisherman’s in N. Eastham? Too late this season, but that’s been my hands down favorite for over 10 years. Nothing I’ve had anywhere else compares, although I haven’t tried Red’s yet (can’t bring myself to wait in a long line……). No we haven’t tried Friendly Fisherman’s, but intend on engaging in some intensive Cape Cod investigation in 2013. To date, our focus was Boston and points north… but no survey would be complete without including the Cape. Thanks for the tip… keep ’em coming! Reblogged this on The Boston Harbor Picayune.